In the My English Book and Me 3 Texts, there are many mini – tests. We want the tests to be meaningful and to test the students (obviously). Unfortunately, we found that many times, when assigned for homework, the tests would come back PERFECT—with NO mistakes. 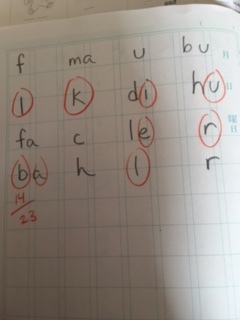 Mysteriously when students did similar mini tests IN CLASS in the CLASS BOOK, they would make many mistakes. We suspect parents were ‘helping’ their children. Unfortunately, such help is really a hindrance. Because we know that students must write BY THEMSELVES to become strong writers. So, we decided to CHANGE homework for the mini – tests in My English Book and Me 3 home book. This is what we do now. Pease read and look at the pictures on the dave and amy games website for clarification. 1. 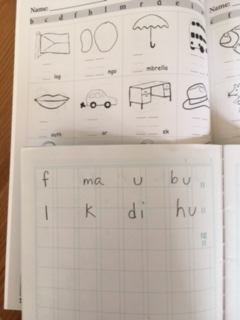 Kids DON’T write in the text. 2. Kids write the answers in a notebook. 4. Optional: Write points. Erase. Correct. All in Notebook. 1. 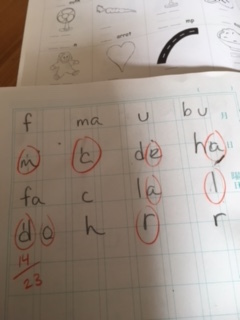 The teacher can test the kids with the mini tests. 2. Students can practice for the “test” in their notebooks at home. 3. The book isn’t used up super quick. 1. The student does the mini – test that was assigned for homework and practiced in a notebook— IN CLASS. 3. 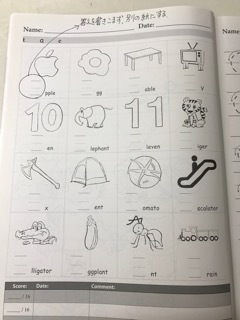 If the child gets high / OK points—then of course the next pages are assigned for homework. 4. But if the child does this page in class and gets low points—tell them to practice the same page again in their notebooks for homework. 1. Not really necessary. IF the child gets high // OK points IN CLASS in the mini – tests, then most likely the DID practice in their notebooks. IF they get low points, ASK—did you practice? Whatever homework your students do, make sure it is meaningful. And that they are LEARNING from the text. Not just speeding through it. Correct mistakes. Practice again if needed. 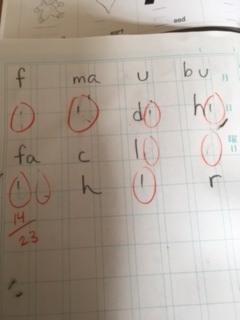 Circle mistakes in RED. Write the score.